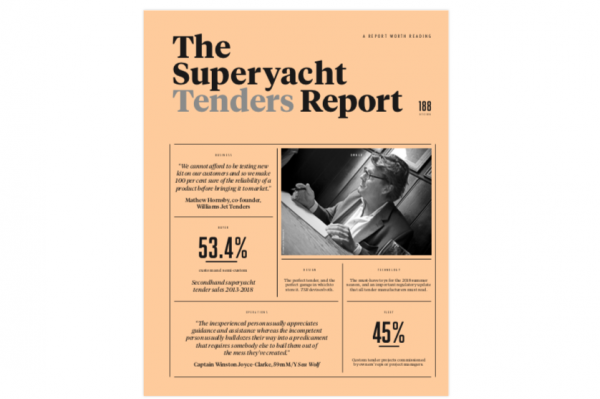 It is for this reason that the next issue of The Superyacht Report is a comprehensive overview of the tender and toys market. Within the ‘owner’ section, we look at what clients should consider when purchasing a custom tender for their new-build project. What do they need to understand about the process? What are the common problems that occur and how can these be avoided? The report showcases a thorough statistical analysis of the current custom tender market, with insights from leading manufacturers and builders. Also, we highlight important regulatory updates for tender manufacturers, and ascertain how to design the perfect tender garage. This issue’s business report looks at the number of high-profile collaborations between car designers and tender (or toy) manufacturers. Using the ‘Aeroboat’ from Rolls Royce and Claydon Reeves, the ‘Granturismo’ from Silver Arrows Marine and Mercedes-Benz, and ‘Project Neptune’ from Triton Submarines and Aston Martin as case studies, Rory Jackson considers if these projects will attract a significant amount of interest in the market or if they are merely marketing gimmicks for all parties. “While it is hard to argue against the merits of each collaboration, it does seem that the superyacht market has an aversion of sorts to collaborative projects. Is this indicative of the relative price points of the projects or a reflection of the market’s inherent conservatism?” he asks. Design editor Georgia Boscawen travels to Caen, northern France, to find out what exactly goes into creating a modern tender with Iguana Yachts. She also sits down for a drink with Steve Gresham, to spend a day in the life of a yacht designer. 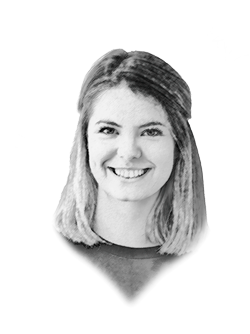 Bryony McCabe looks at the options available for owners who wish to take their tender and toy experience to the next level. A common thread through many features in this issue is the importance of equipment for a charter vessel’s success. In addition to owner’s enjoyment, having a tender garage (or indeed a support vessel) filled to the brim with the latest and greatest toys is a surefire way to set a yacht apart from the competition. Elsewhere, Felix Sowerbutts speaks to two of the three owners of a Benetti Delfino 93 on the SeaNet co-ownership programme, to discover how the concept has far exceeded their expectations. I catch up with Rod Salmon, the owner of M/Y Oneworld, the first Gulf Craft to be built for the stringent specifications required by the Australian Maritime Safety Authority (AMSA) in order to charter in the region. All of these owners are investing their time in adjusting the market and its products for their own needs, and are committed to yacht ownership on their own terms. Don’t miss this issue by subscribing here. You can also now download this issue, and back copies of The Superyacht Report through our shop.